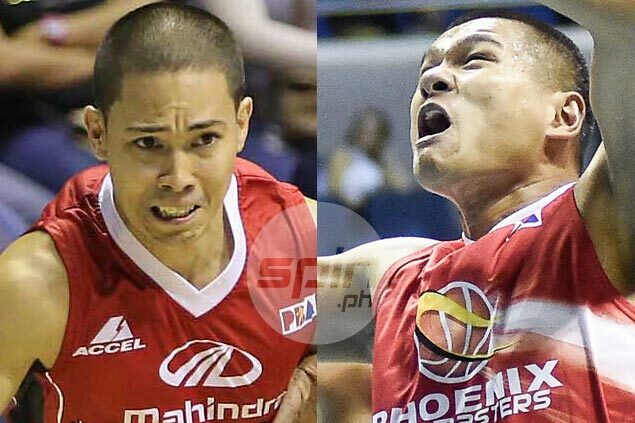 LA Revilla and Norbert Torres are among the new members of the Gilas pool. LA Revilla of Mahindra and Norbert Torres of Phoenix are the surprise choices of Chot Reyes as Gilas Pilipinas on Sunday bared the 12 PBA players who will join the 12 cadets in the new national pool. Also named to the 24-man pool were Calvin Abueva of Alaska, Ginebra's Japeth Aguilar, Blackwater's Art Dela Cruz, Terrence Romeo of GlobaPort, Jonathan Grey of Meralco, Bradwyn Guinto of NLEX, Raymond Almazan of Rain or Shine, SMB's June Mar Fajardo, Paul Lee of Star and Jayson Castro of TNT. No one among the new members of the pool is above 30 as Reyes put a premium on youth in a program geared toward qualification for the 2020 Tokyo Olympics. Among the surprise omissions are Gabe Norwood of Rain or Shine, Ranidel De Ocampo of TNT Katropa and Star forward Marc Pingris, who were part of the Gilas team from the 2013 Fiba Asia championship to last year's Fiba Olympic qualifiers. “We like the combination of youth with veteran smarts kasi if you take a look at Jayson, Japeth, and June Mar, they are all 30-yrs-old-and-under but they have a lot of experience already. So magandang halo yun,” said Reyes in describing this latest version of Gilas Pilipinas. The Southeast Asian Basketball Association (Seaba) Championship will be the first tournament for the new pool, hopefully to be held here in the country in the latter part of April as the Samahang Basketbol ng Pilipinas (SBP) already made a formal bid to host the meet. The Southeast Asian Games in August comes next, to be held almost at the same time as the FIBA Asia Cup (formerly the FIBA Asia Championship) in Beirut, Lebanon. But Reyes stressed focus right now is on Seaba, which the Filipinos had dominated ever since and whose champion this year earns an outright spot in the FIBA Asia Cup. “We don’t want to overlook the Seaba because pag hindi tayo nanalo sa SEABA, pass your paper na tayong lahat dito. Everything goes for naught,” said Reyes, who was joined in the press conference by SBP president Al Panlilio and executive director Sonny Barrios. “That’s our entire focus first. Kailangan nating ipanalo yung Seaba to enable us to play in the FIBA Asia. So we fully intend to bring our strongest team sa SEABA dahil yun ang importante.